It’s a family affair that started more than 100 years ago, when Clint Graydon graduated from the University of South Carolina law program in 1913. Now, his legacy and name carry on in his great-grandson, Clint Wallace, one of the School of Law’s newest faculty members. Bridging the gap between the generations was Sarah McCrory, Graydon’s daughter, Wallace’s grandmother, and a 1944 alumna. In her graduating class of 10, she was one of two women. But upon reflection, she said she didn’t think being a woman in law school, even in the 1940s, was that special. Her father told her she could do anything as long as she worked for it. “I thought I might be governor one day, or maybe even president,” said McCrory. Her love for political science and government enticed her to attend law school, and her fondest memories during her time here included learning from some of the country’s top legal professors. Her favorite professor was a peer of her father’s and a prominent figure in the School of Law’s history—Coleman Karesh. father passed in 1962. He left behind hundreds of boxes filled with thousands of cases in their basement. those boxes,” McCrory said. “There were about 10,000 law files. Clint Wallace, for his part, said it was an easy decision to return to his roots. After attending law school and starting a career in New York, the tax law professor accepted a position at South Carolina Law in the summer of 2017 — 77 years after his grandmother began her time at the same institution. 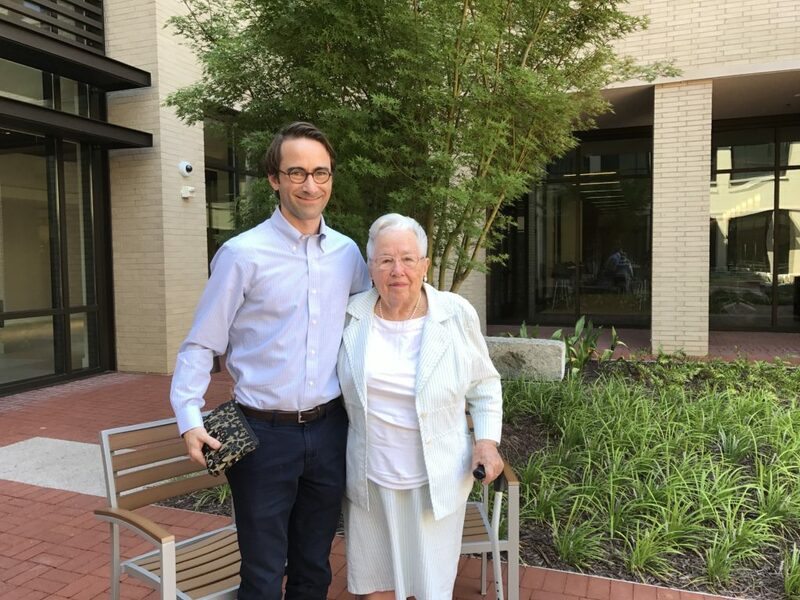 being able to walk around the new law school building with his 97-year-old grandmother, listening to the stories and history of her life and the man from whom he gets his name. *Sadly, Sarah McCrory died on October 24, 2017, just months after her grandson arrived on campus. We interviewed her in July for this story. This entry was posted in Winter 2018 on 25 January 2018 by thefineprint.